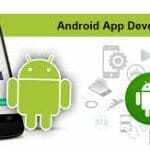 Android App Development Cost in India – Do you need an android application to make your business or services more user -friendly? Are you looking for the best company to design the perfect app for your business? Well, every small or large business requires an app these days for the visible reasons. But do you know the actual cost that it takes to build an android app? If not, then this is the right place to be in. Here, we will let you know about the round cost of developing an android app in India. 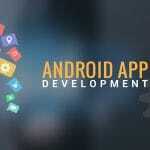 Call 7696228822 to develop any type of Android apps. Mobile applications have become an important and major part of our regular lives. It adds every bit of comfort and luxury in our otherwise mundane lives. All smartphones come with powerful web browsers, meaning you can do pretty much anything you can do on a desktop computer in a phone’s browser. 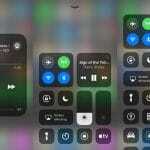 Normally, when people talk about apps they are almost always referring to programs that run on mobile devices, such as Smartphones or Tablet Computers. Android is one of the most famous platforms that people choose to enjoy the features and benefits of the apps. 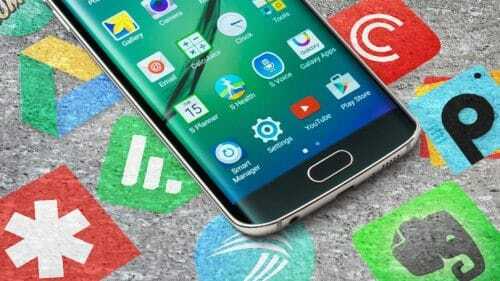 What are the different types of android apps? As of now, the apps have undoubtedly become one of the most integral parts of our lives in a number of different ways. Every small and big company is now getting active because of the variety of benefits apps has to offer. Nowadays there seems to be an app for everything. Whether it’s checking up on breaking news, chatting with friends via social networking or even booking last minute holidays there’s an app out there to help you. Below mentioned are some of the various types of apps in Android that you can choose from. Lifestyle mobile apps are the ones that accelerate or supports the individual facets that define your lifestyle. They include Fitness, dating, food, music etc. to name a few of them. The another most famous type of app is the social media android app. Some of the common media apps are Facebook, Twitter, Instagram etc. Then, comes the utility apps that help we do not generally use it like an app. They help in making our lives easier, some of the examples include calculators, reminders, flashlights, weather etc. The gaming and entertainment category are huge, and as such, very competitive. Games are one of the more obvious mobile app categories and their demand is pretty obvious as well. While productivity may sound like one of the more boring types of mobile apps, it’s an incredibly popular category. These types of apps help the users accomplish a task quickly and efficiently, making what are sometimes mundane tasks easier. 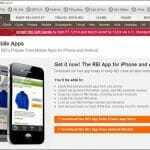 News and information android apps. How much does it cost to build an android app in India? Both the customers and developers are most of all interested in the cost of their services. The estimated cost of the project, deadlines, and quality of implementation are the main determining factors when choosing a service provider. There are many things that the app is dependant on. The cost of the development of any kind of app depends on the requirements and complexities. Below mentioned are some of the requirements of the app that will make the cost of the development even clearer. Scroll down to brush up your knowledge and build an app for your services. The development of the apps depends on what type of app it is, you need to choose a right person or a firm to develop it. A complex app will need a reputable and professional firm to build and vice versa. Quality, of course, makes it a point to make or break your budget. For the moderate quality app, it will cost you around $15 -30/ hour. Depending on the location of your outsourcing partner, the costs will vary. 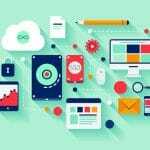 The professional companies might cost you higher for designing the full-fledged functional app. There is no chance that you do not use apps, everyone these days does even for the smallest of things. Android is one of the most user-friendly and beneficial platforms that offers a variety of apps to the customers. With this, I hope you are clear about the cost that will take to build an android app of your own choice. So, go ahead and now find a suitable company to build your app.